Ponds in Poitou Charentes from an article in Living Magazine. Living in this part of France with water on demand at the turn of a tap, it’s easy to forget that as little as 20 to 25 years ago there were many people in small hamlets that only had the well to supply their needs. Pumped domestic water for many is a relatively recent phenomenon in rural France. The further we go back, the more people depended on other means to provide and store water for themselves and their livestock which included different types of ponds, troughs and containers depending on the purposes they would be required for. In turn, these often provided an important habitat for a range of species, amphibians, reptiles, insects and plants. Sadly, many have been lost for one reason or another or have been altered to satisfy our desire for ornamentation. Ponds have always played an important role in human social and economic activity. The vast majority are of human origin although the end product in mind was not always a pond and in this region we can identify a number of different types. As livestock played a pivotal role in every farm, hamlet, village and town, ponds were created for animals to drink from. These can be close to a habitation and are often constructed with stone walls, one end having a gentle slope for the animals to approach the water, and are commonly part of the heart of a farm. Many of these exist today throughout the region. 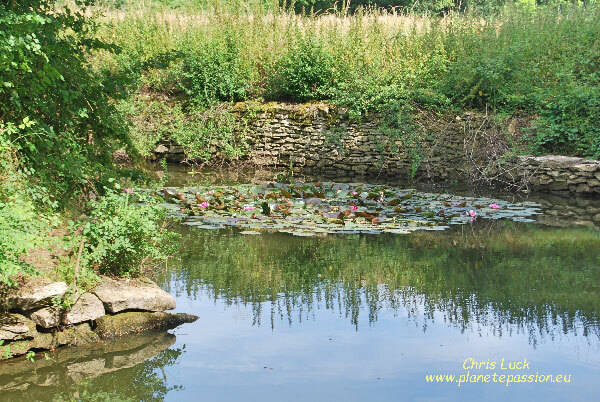 Photo above - recently restored French farmyard pond with slope for animals. Other farm ponds were simply scooped out in an open field or they made use of existing hollows. Where the soil was clay and naturally impervious, it could be puddled in the same manner as for the construction of canals. Although quite shallow these ponds, when well made, could provide water for a substantial number of cattle or sheep. 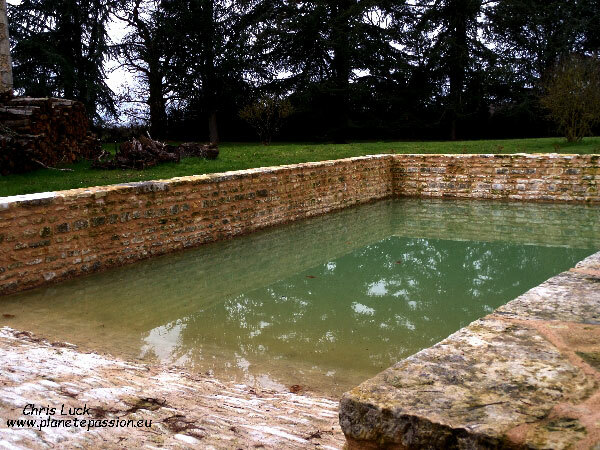 Occasionally larger ponds, not lakes, were created in close proximity to a chateau or abbey where they were used to provide fresh fish for the inhabitants’ table. Domestic water was also important and several types of ponds were created close to habitations, often in conjunction with a well, which were used to provide water for cooking, general cleaning and personal washing. These ponds and troughs were frequently the source of epidemics of both typhoid and cholera even though they were regularly disinfected with the addition of quicklime, the same product being used to dispose of infected corpses as and when the need arose. Photo above - large stone trough that was once situated next to a well. Ponds were also created for what could loosely be termed manufacturing purposes. 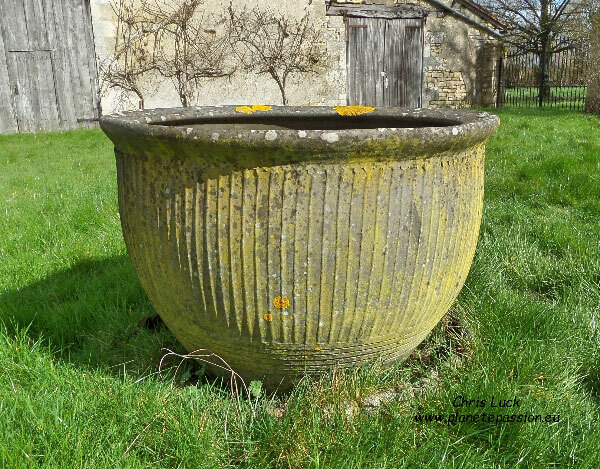 These were usually used to fill some of the large stone troughs that can still be seen near old houses. Some would have been used to soak flax, cane or hemp to separate the fibres, others to soak willow to make it flexible enough to work with, making baskets etc. 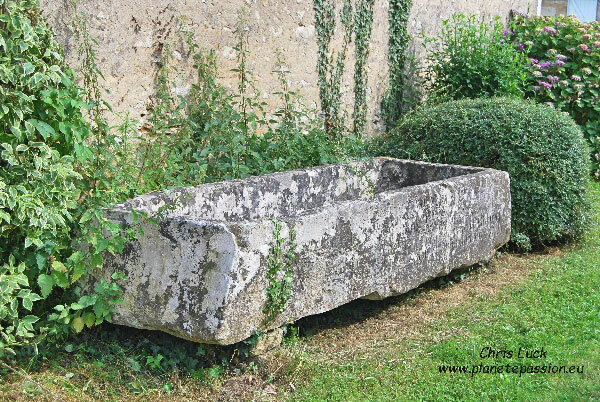 Large stone troughs were also used to do the laundry. This water would be rendered useless for any other purpose after being used as would be the water that would have been used by the smithy. Following on from these purpose built ponds we have unintentional ponds that were created as a result of different human activities and although not immediately obvious, there were a large number dotted around that resulted from stray bombs. Other good examples are places where open quarrying has taken place to extract sand, gravel and stone although many of these end up more the size of lakes. More interesting are the various sites where mill stones were extracted having been hewn from the solid rock. A classic case is La Moulière, Pinail, in the commune of Vouneuil-sur-Vienne (86) which is now the only nature reserve for the Vienne département . Originally with some 13,000 or more ponds, it was probably the largest millstone extraction in the world. Besides Pinail there are other places throughout the region where the stone was suitable for extraction and, although most have been lost, some of them still exist as ponds. Over the years, all of these ponds have provided an important habitat for a range of species some of which are rare or endangered. 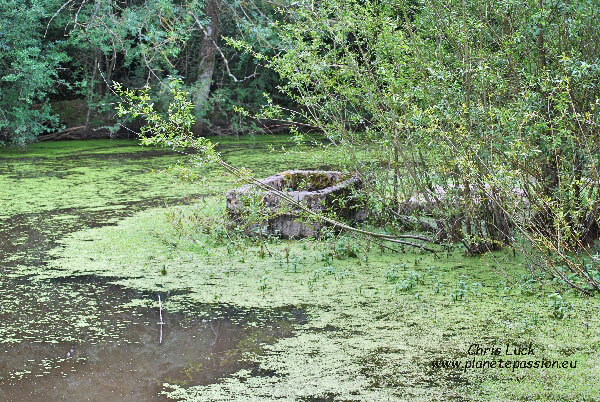 Sadly more than fifty per cent of ponds have already disappeared for one reason or another; they have been filled in or have been allowed to grow over. Others have suffered from pollution rendering them useless. I suspect that many readers will be thinking that there are plenty of dragonflies, frogs and toads where they live and this may be true, but what are they? Mostly they will be Common toads and the “Green frogs” (Marsh frog, Pool frog and Edible frog) and possibly a few other common species of dragonfly, perhaps palmate newts. Although it’s important to maintain these species, we also need to remember the rarer and often more fragile species of the region and their specific requirements. Many such as Great crested newts and Parsley frogs will struggle at best if there are fish present. Unfortunately, the removal of ponds continues especially in gardens. Many people are worried about children or pets getting into difficulty, and a substantial number of people simply consider them to be a nuisance, especially if they find the noise of frogs to be intrusive. Given the overall decline in species this is a cause for concern. 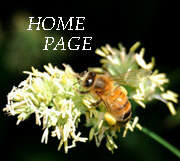 So what, if anything, can be done to help the more fragile species and halt the decline? It’s a complex issue. When an amphibian species has been lost to an area it is unlikely to return even if and when conditions are made more favourable such as with the installation of a new pond. This is due to the fact that they very rarely travel far from the place they were born and return there as a place to breed and release their own eggs. Unless the distance between the new pond and an existing one is quite small, maybe as little as a few hundred metres, there will be no chance for the new pond to be populated. Dragonflies and other more mobile aquatic and semi-aquatic species will arrive but even here distance is a factor as well as the pH of the water. However, creating a new pond or restoring and sensitively managing an existing one is still of great importance even if we don’t get those rare species immediately. A good water source is extremely important and, since water is a basic requirement of life, it can be a life-saver for a huge number of species. Honey bees alone take vast quantities back to their colony throughout the season to mix the pollen and nectar as well as being used in regulating the colony’s air temperature. Small mammals such as hedgehogs, squirrels, pine and stone martens, genets, foxes and so on need water as well as birds and other insects.